Book your ticket now and secure your place in the submarine tour with our semi-polarized day and time you want. Reservations are deleted 30 'prior to the departure of the semi-submarine. Reservation - Without cost - Reservations are deleted 30' prior to the departure of the semi-submarine. We are in the port of Hydra island. 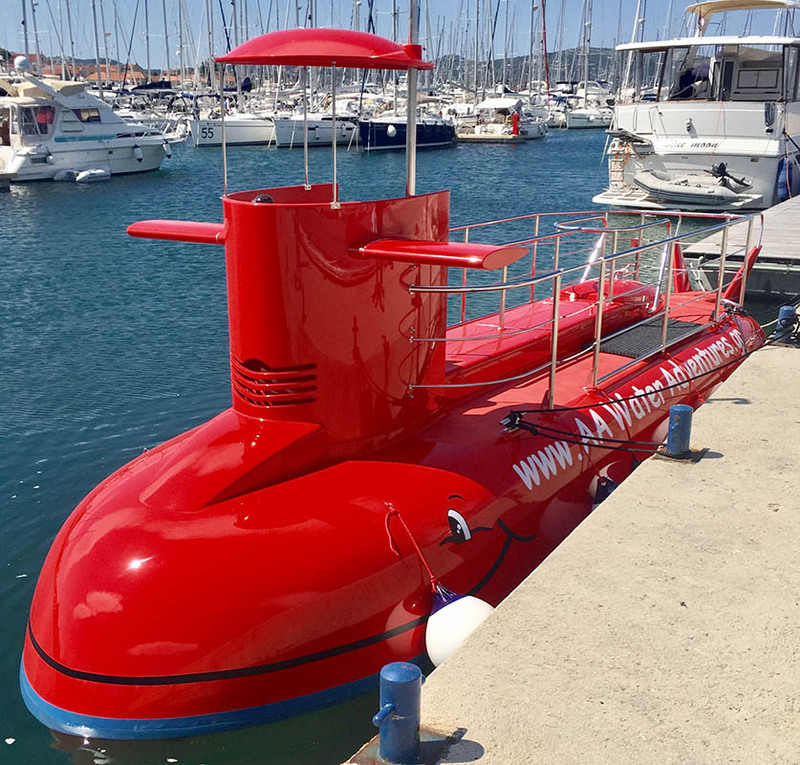 It is very easy to locate us since our semi-submarine stands out in its bright red color.